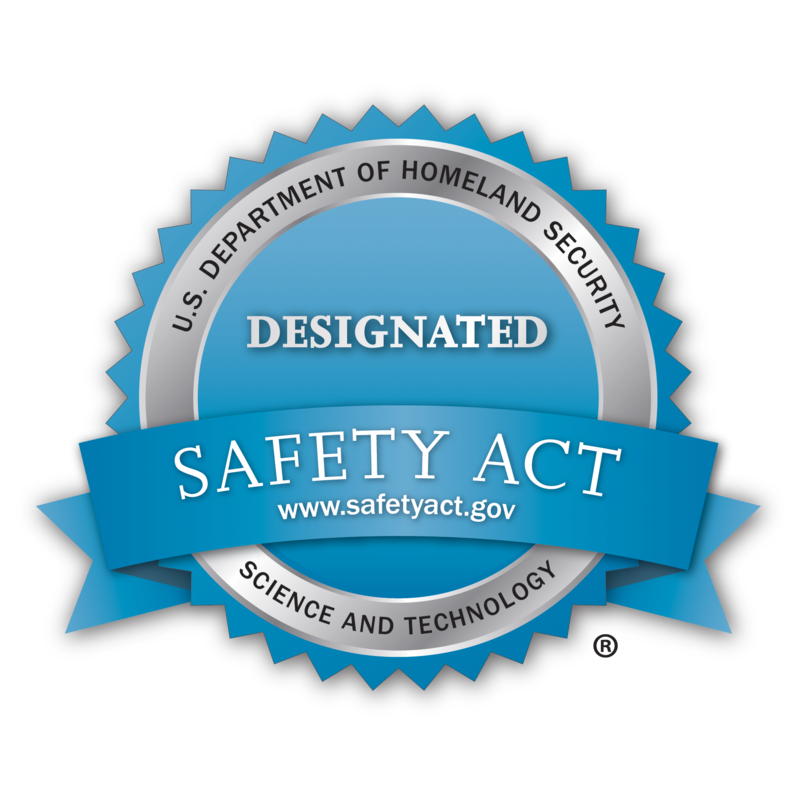 Cybersecurity and enterprise risk firm TSC Advantage has earned a second Department of Homeland Security SAFETY Act Designation for its Threat Vector Manager methodology and Enterprise Security Assessment. This provides continued validation of TSC Advantage’s holistic approach to cyber risk assessment and once again qualifies it as an anti-terrorism technology. This designation is a testament to our proven performance in identifying cybersecurity risks, making prioritized recommendations, and helping organizations improve their cyber maturity. TSC Advantage, a leader in cybersecurity consulting and enterprise risk assessment, today announced that its cyber risk assessment methodology, Threat Vector Manager™ (TVM), has earned the U.S. Department of Homeland Security’s SAFETY Act Designation. Threat Vector Manager™ and its associated Enterprise Security Assessment improve holistic security maturity in commercial organizations, U.S. critical infrastructure, and the public sector. Tied to international and national standards, TVM™ assesses six domains, including often-overlooked threat vectors like insider threats and third-party dependencies, to identify areas of elevated risk across an enterprise. 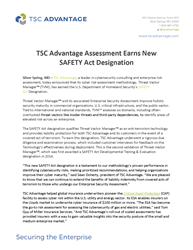 The SAFETY Act designation qualifies Threat Vector Manager™ as an anti-terrorism technology and provides liability protection for both TSC Advantage and its customers in the event of a covered act of terrorism. To earn this designation, TSC Advantage underwent a rigorous due diligence and examination process, which included customer interviews for feedback on the Technology’s effectiveness during deployment. This is the second validation of Threat Vector Manager™, which was first awarded a SAFETY Act Developmental Testing & Evaluation designation in 2014. TSC Advantage is a leader in enterprise security assessments, cybersecurity consulting, and managed security services. Since 2006, numerous federal agencies and commercial clients have relied on its expert advisors to solve evolving cybersecurity challenges, reduce vulnerabilities and lower cyber insurance premiums. TSC Advantage is a Service Disabled Veteran-Owned Business (SDVOSB).